Well, it happened again, and it was so awesome! My son-in-law and I have basically owned the Tweetsie Trail this summer for our morning run. The beautiful scenery, friendly bikers, walkers and runners, beautiful wildlife, the nostalgia, pristine quiet, and the desire to stay healthy and prepare for periodic races calls us out three to four times a week. Our routine is to run from Johnson City to Elizabethton at different distances as my training is currently maxed out for 10Ks while Andrew is preparing for a half-marathon. Recently, I said, “Let’s change our routine and run from Elizabethton to Johnson City. Well, I was greeted with a startling fact . . . the trail is predominately an uphill grade. Our last run really took it out of me, and I was a bit defeated because running is such a challenge to me. Upon sharing my thoughts via texting with Andrew, he said, “The second you feel defeated, you fail. Sounds like the Christian life.” He is right. Running is such a mind game. Correct thinking is so crucial. In most instances, you can run farther than your mind tells you. There you are, your legs are burning a bit, your lungs grasping for air, and your mind saying, “Just go ahead and quit. You know it’s too hard to finish. You just don’t have it.” That’s when you have to think the truth, remind yourself about things you have learned from running, and take another drink as well as another step. You really don’t want to listen to yourself. The Christian life is often uphill as well. Every day presents you with battles that begin with putting your feet on the floor first thing in the morning. Once that happens, you are “off to the races.” How needful it is to think biblically from the first thought of the morning. 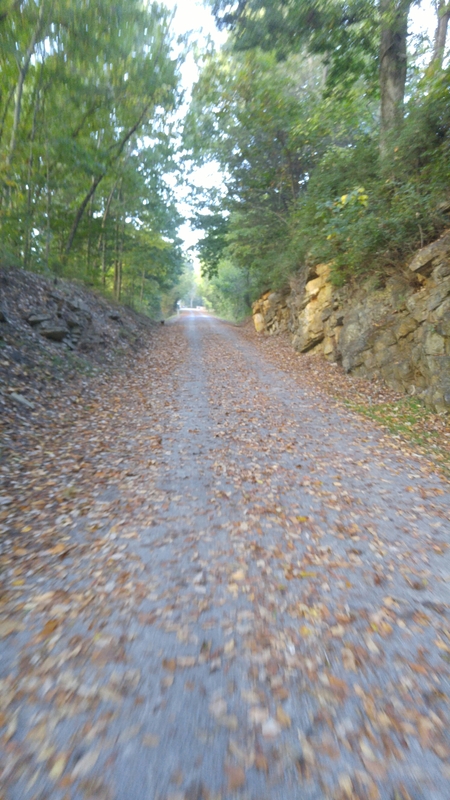 So often when we start the Tweetsie Trail, one of us will say, “What a beautiful day to run. Praise the Lord!” Starting your day thinking the Word and then throughout the day reminding yourself of the Word will help you climb the next hill. It is so important that we do not listen to ourselves but rather preach the Word to ourselves. I for one will tell you that one of the best parts of running is the finish. There is such an exhilarated rush when you are done. So here’s some truths to begin your day that will get you to the finish line… even if its uphill. For though we walk in the flesh, we are not waging war according to the flesh. For the weapons of our warfare are not of the flesh but have divine power to destroy strongholds. We destroy arguments and every lofty opinion raised against the knowledge of God, and take every thought captive to obey Christ, being ready to punish every disobedience, when your obedience is complete. (2 Corinthians 10:3-6).